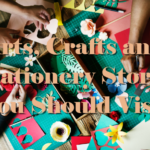 For many foreign countries, art is an important part of their heritage. 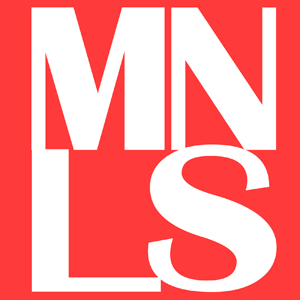 They see it as an icon of who they are as a nation. 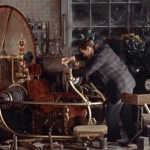 That is why they ensure that every art piece whether in movies, music, design, or visual arts are preserved in its truest form. Sadly in our country, the government seems to not care about our arts and cultural heritage. Around Manila, you can see many old buildings, regardless of their beauty and cultural importance, left to rot. 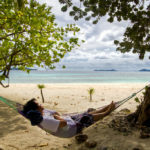 Most of them are cited as hazardous, prompting immediate demolition from the government. Remember the old Jai Alai building along Taft Avenue and the Laperal Apartments in C.M.Recto? Despite the National Cultural Heritage Act of 2009, these structures were wrecked. Located at the Mehan Garden, near Quezon Bridge, architect Juan M. Arellano designed this Art Deco building. It was opened in December 10, 1931 to replace Teatro Del Príncipe Alfonso XII, an old Spanish theater burned in 1876. 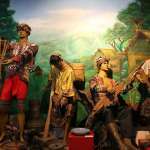 The theater was famous for staging important zarzuelas during the American Colonization. 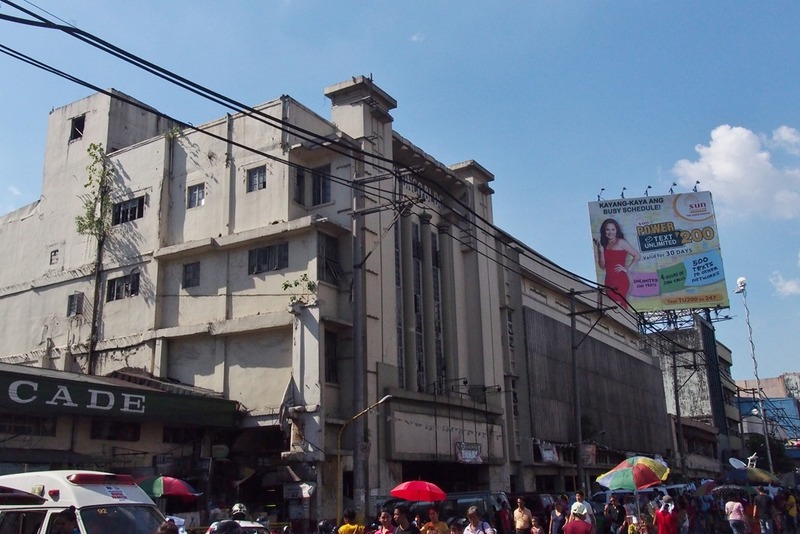 This Art Deco theater designed by National Artist Juan F. Nakpil de Jesús was once the jewel of the famous Escolta in 1930. The exterior of the building features bas-relief sculptures by Francisco Monti. 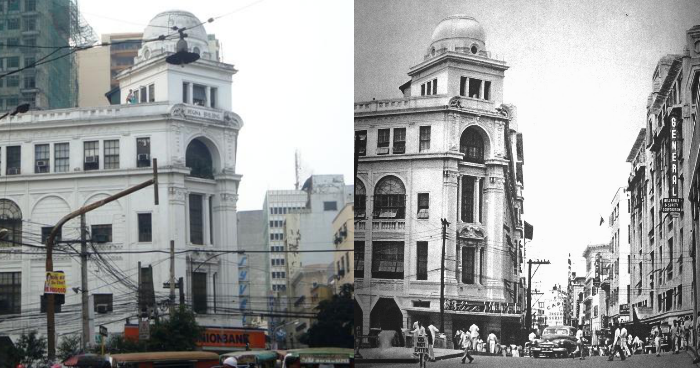 The theater eventually closed down in 1970s, as more people favored malls with cinemas over Escolta. Another famous building in Escolta, Regina Building was constructed in 1934 by Andres Luna de San Pedro. The allure of this neoclassical beaux-art building is intensified by surrounding bodies of water, Estero de la Reina and Pasig River. The Calvo Building is another architectural beauty in Escolta.. Designed by architect Fernando H. Ocampo and his partner Tomás Argüelles in 1938, this neoclassical structure housed some of the country’s leading companies such as Philippine Bank of Commerce, Luisa, and Araneta and Company. Today, Calvo Building accomodates the Escolta Museum. In front of Carriedo fountain lies the old building of Monte de Piedad. This Neo-Renaissance style building was actually the third location of the first savings bank in the country- first on Intramuros, and second in front of Plaza Lacson. The building is currently owned by GE money bank. Amid the busy streets of Divisoria is the striking Ides O’Racca Building. This pre-war heritage edifice was inaugurated in 1935 by Dr Isidro de Santos and was made as a cold storage. Recently, the building was declared as a significant cultural property and was saved from demolition. A famous building for commercial shoots, El Hogar Building is one of Manila’s many icons. This classic example of beaux-art design is made more beautiful by the scenic backdrop of the Pasig River. The building was made by Antonio Melian in 1911, as his wedding present for his wife Mercedes Zobel. Too bad, plans of removing the structure is at work. This two-story structure in front of Binondo Church was so famous that Jose Rizal decided to include it on Chapter 25 of El Filibusterismo. Unfortunately, its history is not strong enough to keep the Spanish-era house to disintegrate. The establishment became an creepy establishment waiting to be demolished. The Philippine National Railway Paco Station was built by William Parsons in 1908 after the Manila belt of PNR was opened. It was considered as a humble and equally beautiful local version of the Penn Station in New York. The station was planned to turn into a mall only to stop halfway, leaving its frame and intricate façade intact. This Spanish colonial structure is found in Intramuros, Manila. It follows a neoclassical design engineered by Tomas Cortes in 1822. 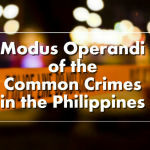 Aduana was built to attract merchants to stay within the walls of Intramuros rather than outside. This Chinese pagoda-like structure was originally made in 1935 as a decoration to Don Jose Mariano Ocampo’s vast estate. His plans, however, were stopped when WWII broke, and the mansion was turned into a refugee camp. Today, the eerie structure acts as a boarding house for seafarers. 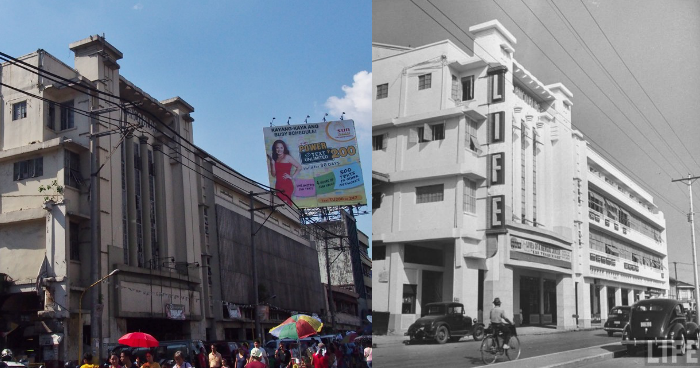 Known to be a prime theater in 1950s, Life Theater was known as the exclusive theater of Sampaguita pictures. Its style features a mix of Art Deco and Neoclassism designed by Pablo Antonio. The theater closed during the ’90s, and it was converted into a shopping center. 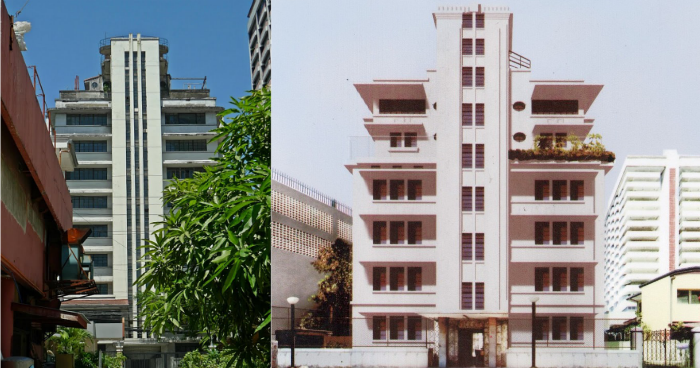 Angela Apartments, located at the heart of Malate, was designed in 1936 by famous architect Fernando H. Ocampo. 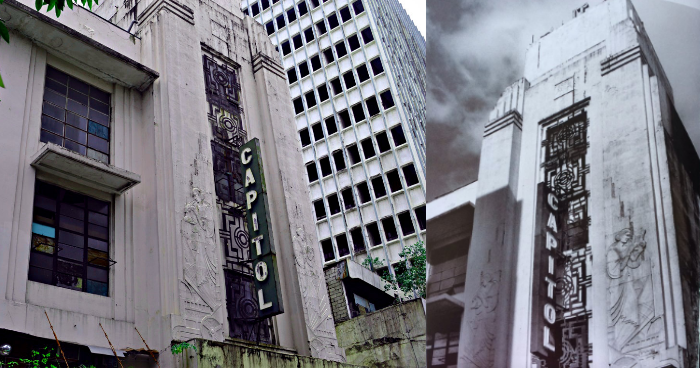 The edifice is famous for its Art Deco designs, which perfectly characterized old Manila. The Old GSIS building found beside SM City Manila, was built by architect Federico S. Ilustre from 1952 to 1954. It boasts an elegant and intricate exterior, with columns resonating a streamline modern design. Rumor has it that the building will soon be demolished to pave way for an SM mall extension. Uy-Chaco was built by Samuel C. Rowell in 1 914, as commissioned by Chinese businessman Mariano Uy Chaco. With its dramatic design, it is considered as the first and remaining model of Art Nouveau style in Manila architecture. These buildings are old, tarnished, and dirty, but they are distinct fragments of the Philippine heritage. They manifest the elegance and comfort of old Manila that most people have already forgotten. Though it’s essential to get with the times and to champion innovation, we must not bury the past behind because these buildings are vessels of our history. It’s crucial to continuously celebrate our culture and make sure that they exist far beyond this century. 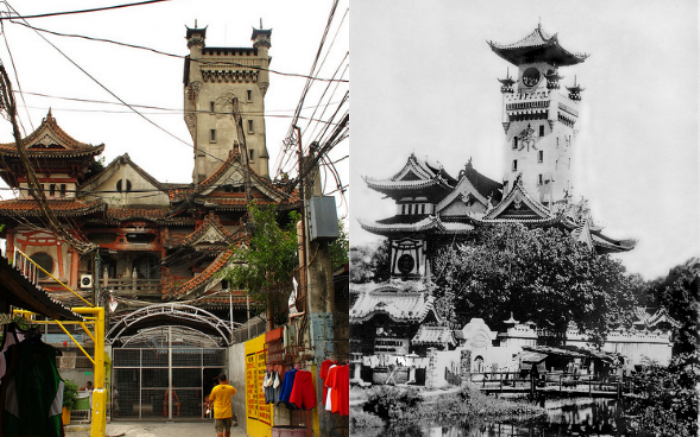 Hopefully, the government can restore these architectural beauties and bring back Manila’s former glory. 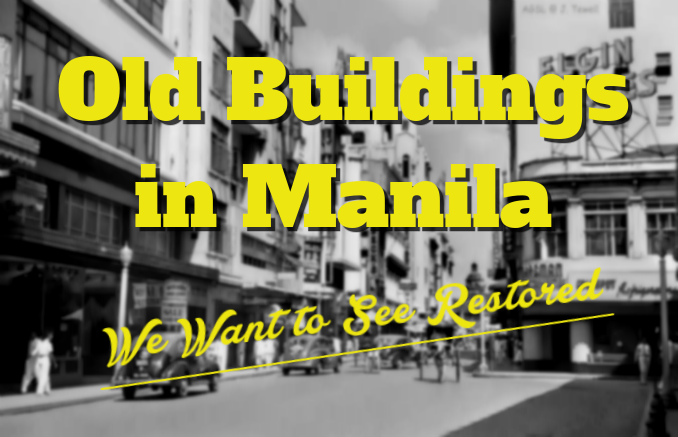 There are many heritage buildings in Manila, which of them do you want to see restored?